After taking last week off in honor of Easter, Council members began Tuesday’s meeting with a pair of proclamations. Councilman Garry Gernandt, a retired Omaha police officer, formally recognized the work of area 9-1-1 operators as part of National Public Safety Telecommunicators Week. Council President Ben Gray also proclaimed April 5th Jean Floyd Bell day, in honor of the longtime Human Rights and Relations Investigator for the City who died recently of a heart attack. The Council quickly made its way to an item concerning the liquor license of Midtown Gas & Grocery, located near Columbus Park on South 24th Street. Ownership of the store changed hands and the new owners want to be able to sell single beers and small “airplane style” bottles of liquor. Councilman Chris Jerram said the area the store is located in is part of a Community Development Block Grant, and as such, the store was subject to certain restrictions, like not selling single beers or shots. “Since the restrictions came in at this location, there’s not been one complaint. There’s not been one loitering ticket. The trash is picked up daily, and there’s another store at 24th and Leavenworth to the north that when they came in, [they] agreed to the same restrictions,” Jerram told a lawyer representing Midtown Gas & Grocery. 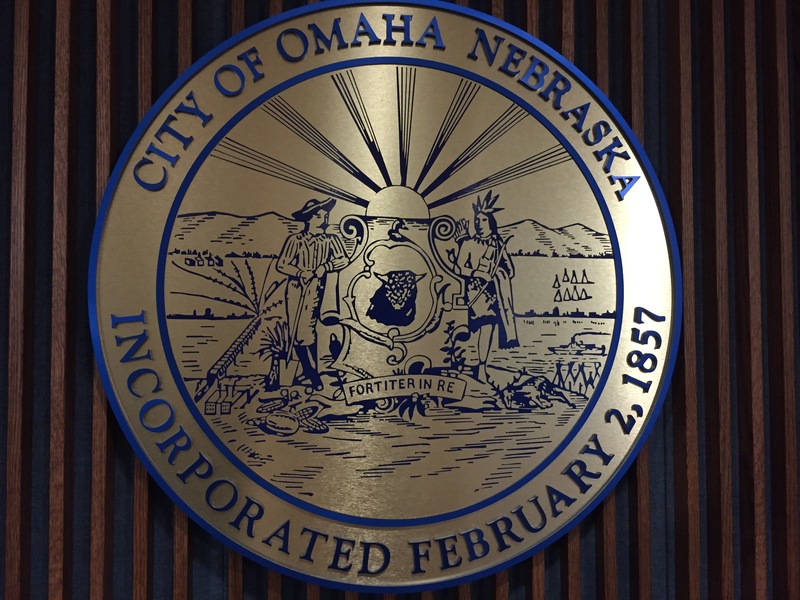 Rather than letting the Council recommend the Nebraska Liquor Commission deny their application, the owners of Midtown Gas & Grocery amended their application to keep the restrictions in place, and the Council, in turn, voted unanimously to recommend approval. Council members also unanimously approved several consent agenda items aimed at helping the homeless and near-homeless, including plans to build four, single-family homes that would be available for purchase by low-income residents. The homes will be built using several contractors on the City’s list of certified Small and Emerging Businesses (SEB’s). It was the treatment of two SEB’s in another contract dispute, however, which upset Council President Ben Gray later in Tuesday’s meeting. Speaking on behalf of Spencer Management, Justin Moore went before the Council to appeal the rejection of a bid his company submitted to be one of the City’s go-to contractors when emergency concrete repair is needed, like when a water main breaks. Moore said he met with Michael Kleffner of Public Works on March 9th to discuss the contracts. Kleffner said the early date on the rejection letter was essentially a miscommunication. He said he told a colleague to prepare the letter, but didn’t send it out until a few days later. As far as why Moore’s bid was rejected, Kleffner told the Council the contractor was not using E-Verify properly to make sure the company’s workers were eligible to work in the State. Of the 11 people Moore listed on the project, only one had documentation proving they’d cleared the E-Verify system. Moore told Council members his use of E-Verify had never been scrutinized before, which led to this exchange between Council President Ben Gray and Public Works’ Michael Kleffner. Kleffner: That would be a mistake on their part, Councilman. Them not having to do that before would be them in violation of State law and them in violation of our city contracts. Gray: But if they’re not asked, who’s in violation? Them or the City? Who’s in violation if they’ve never been asked? Kleffner: I would say probably both, Councilman. But this being my first full year at the position, I took it on myself to ensure we were getting responsible bidders on contracts that I believe are important in nature in that they can affect our traveling public. Gray essentially told Council members Justin Moore’s bid was subjected to an undue level of scrutiny, and could be considered “highly suspect” by minority business owners. Councilwoman Aimee Melton took issue with Gray’s statement, and said the City needs to take a harder stance on issues like using of E-Verify. In the end, the Council voted 5-2 to reject Justin Moore’s appeal of the bid rejection. The Council could decide which small and emerging business will ultimately be awarded the contract at their meeting next week. As a Certified Workforce Development Professional, who was a Consultant to Comprehensive Employment Training Agency (C.E.T.A), Job Training Partnership Administration (J.T.P.A)and Workforce Investment Act (W.I.A), I find the Heartland Workforce program to be as ineffective as a Program helping anyone. They operate as if Omaha has a abundance of Good Paying Jobs, and they force You to take jobs that are not comparable with Pay/Skill levels. 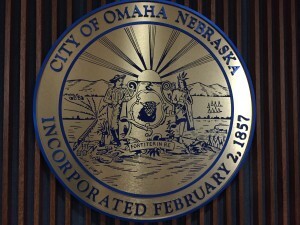 City Council representatives should increase Bid opportunities within City Government.City Council Representatives Ben Gray and Aimee Melton should go back a few years and review the Job Training program that the City of Omaha once operated, with over a 12 Million Dollar Budget, it has been, in my estimation that when ever the State of Nebraska has to manage/operate a program, be it Human Services or Labor Programs the level of service is minimal and almost non-existent. Thanks for the input, Mr. Womack. Perhaps we could talk further about this subject through email? rprobertson@unomaha.edu is mine, feel free to get in touch, as we are always looking for other voices on the issues we cover. Park fee increases advance but filibuster endangers other bills « Previous | Next » Social Media & Politics: A good mix?